Our Society lost perhaps its oldest member with the death of Jack Crosbie on March 29, 2004. He was also a long-time member of the American Association of Petroleum Geologists and a Charter Member of the Gulf Coast Section of SEPM. Jack's professional career spanned almost a half century and witnessed the huge growth of our industry after WW II in south Louisiana and the outer continental shelf of the Gulf of Mexico. He was 86. Jack was born and reared in Smith Center, Kansas. He graduated from the University of Nebraska with an MS degree in geology and paleontology. Throughout his life, Jack maintained a strong allegiance to his alma mater and frequently visited the university. After graduating, Jack joined Shell Oil Company in October 1941, just prior the start of WW II. Crosbie was assigned to the paleontology staff, which at that time was quartered in the basement of the old M&M Building in downtown Houston along Buffalo Bayou. Shortly after the war, in 1945 or 1946, Shell opened a Production District office in Lake Charles to be closer to field operations at Black Bayou, Jennings, Weeks Island, West Lake Verret and White Castle. At this time, Jack was transferred with the Production unit in order to provide daily paleo information on drilling wells. One must recall, the first rudimentary electrical well surveys were conducted before the war and they were still in their early development stages during the late 1940s. Also at this time, geophysical techniques were just being developed. Therefore, Jack's evaluation of the stratigraphy in drilling wells was of paramount importance to exploration and production department staffs. In 1945, Jack had the singular distinction of well-sitting on the discovery well at the Weeks Island salt dome. The Weeks Island Field quickly became a major producing property for Shell. With experience gained in Shell operated fields, and through examination of samples from competitor wells of interest to Shell, Jack's knowledge of the subsurface biostratigraphy across southwestern Louisiana was unparalleled. In January 1946, Crosbie left Shell and joined Union Producing's paleo lab located in Kenner, La. He remained with Union Prod for approximately five years before he resigned to establish a consultancy. 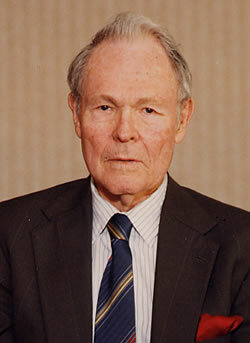 Jack was a visionary individual and he soon focused on the rapid drilling developments in the Gulf of Mexico. He realized that much of the activity at this time was in late Miocene and younger sediments in which he had little experience; therefore, he set about hiring a paleontologist who was familiar with these sequences. In the spring of 1957, Don Macomber, who had been Division Paleontologist in Shell's offshore Marine Group in New Orleans, joined with Jack to form the Crosbie-Macomber Paleontological Laboratory located at 110 Athania Place in Metairie. Their combined knowledge of the onshore and offshore made a great synergistic team. Very soon thereafter, Crosbie was instrumental in landing a contract for paleo in all wells to be drilled by the recently formed CATCO group. This was a combine of Continental, Atlantic and Tidewater companies that held a sizable lease hold in the Gulf. Needless to say, their consulting firm flourished. Owing to their early prominence in economic paleontology, Jack and Don were each honored by having a significant lower middle Miocene benthic foram marker species named for them. Both are part of the Rob "L" fauna below the Amphistegina "B" shale wedge. In 1962, E. Ann Butler, then State Paleontologist with the Louisiana State Geological Survey, published these named species in the Journal of Paleontology, Volume 36, No. 6. The fossils are: Discorbis crosbiei and Robulus macomberi. Their names will forever more be associated with these two key microfossils. After 42 years of intensive work at the microscope, Jack retired in 1983. However, he maintained a keen interest in the firm he formed so many years ago. Above all, Jack was a true gentleman and a pleasure to work with. More than one colleague has told me how much they appreciated Jack's interest in them when they were "green horns" just breaking into the business. He always took time to explain the how and why of the oil business, from aspects of drilling, to stratigraphical relationships between fault blocks around a dome, to the fine points of establishing paleontological marker zones. Jack Crosbie was a true legend in his time and we will miss him.